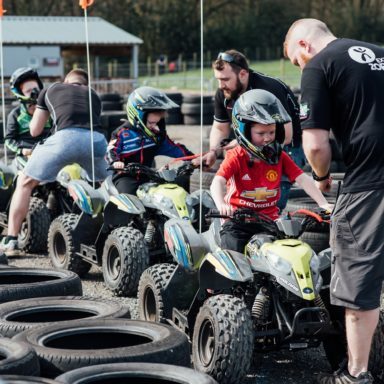 How about some off-roading adventures for the little ones! 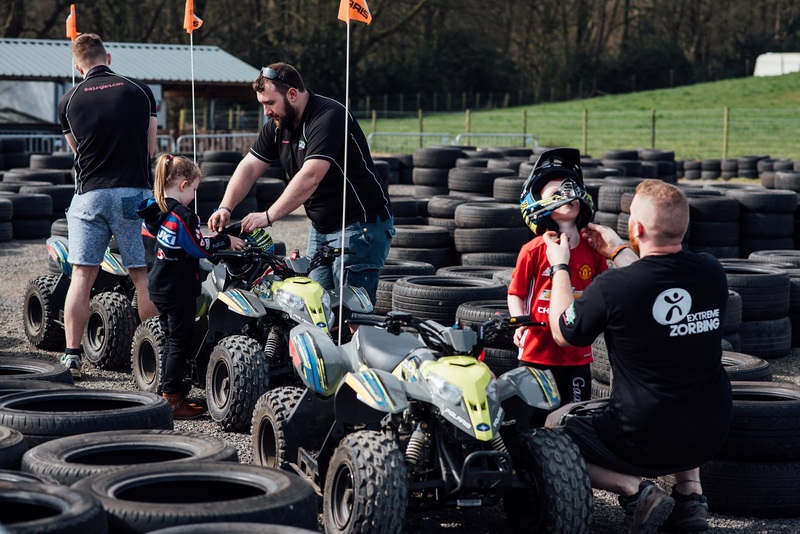 Kids can get to grips with our specifically designed flat, off road track by donning their safety helmets and bracing themselves for an exciting ride on our Polaris Outlaw 50cc Quad Bikes. 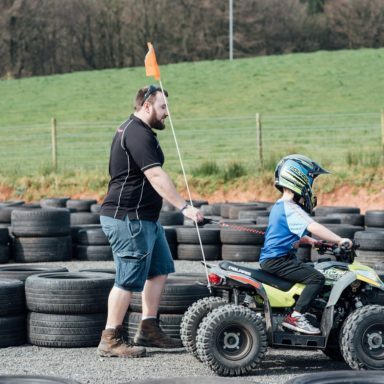 Our track will test their handling and coordination skills and give them an exhilarating thrill in a safe environment. Kids will be given a full and detailed safety brief before they begin and will be provided with a safety helmet. 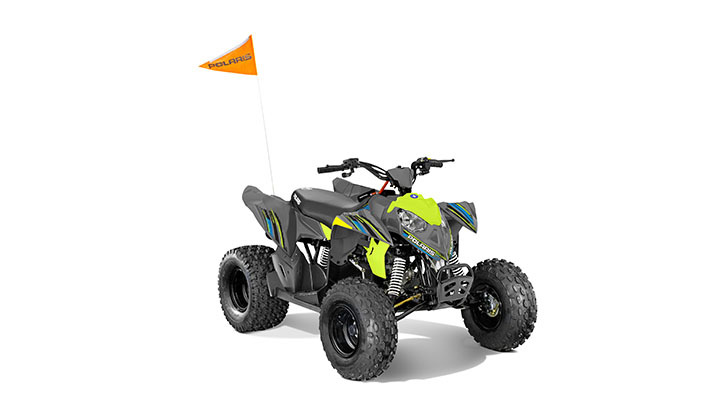 The Quads themselves come equipped with day time running lights and a safety flag. They are also speed restricted. 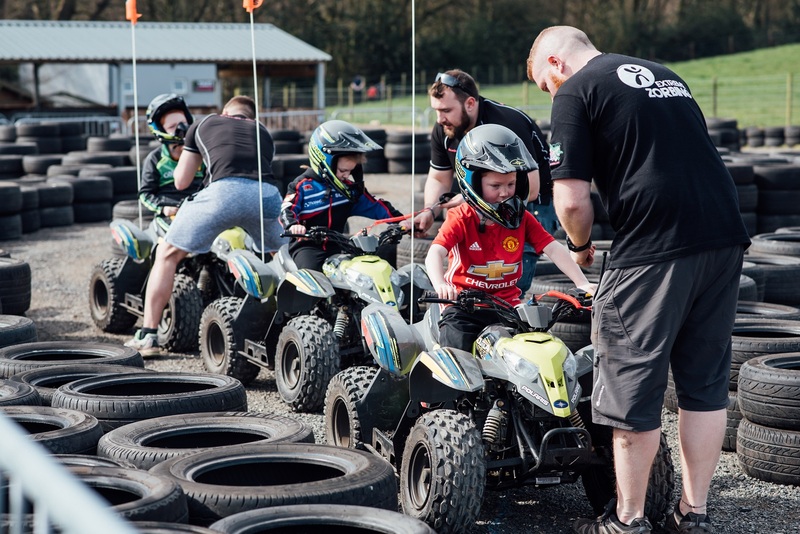 Our fully trained staff will watch over and regulate the sessions and are at hand to assist the kids throughout the experience. 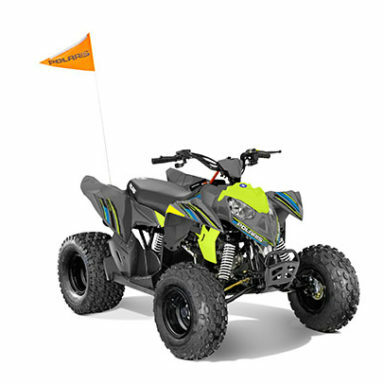 The Outlaw 50 has a 4-stroke 50 engine, 2WD and electric start. 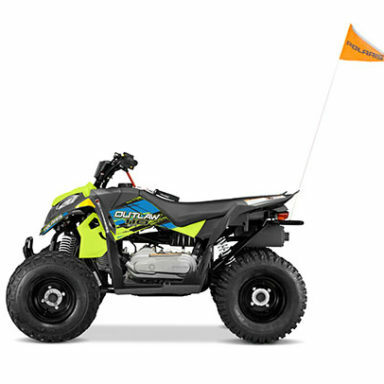 It includes a safety flag, helmet and built-in safety features as standard equipment. Long-travel rear suspension keeps the ride smooth. 2 to 8 children for 1 hour including briefing and tuition. Kids must be aged 6 or over. Kids older than 14 may to be too large for them. Parents must be present at all times to observe their children. 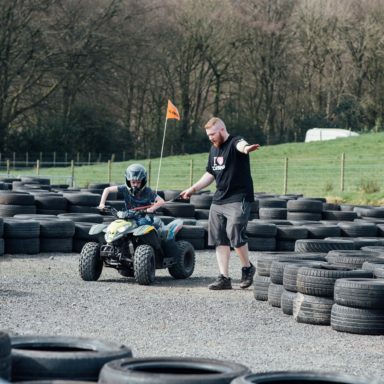 Participants driving the Quads are not permitted to operate cameras while using the vehicles as this may affect their ability to drive and would be dangerous. Spectators are more than welcome to take photos of participants from the spectator area. 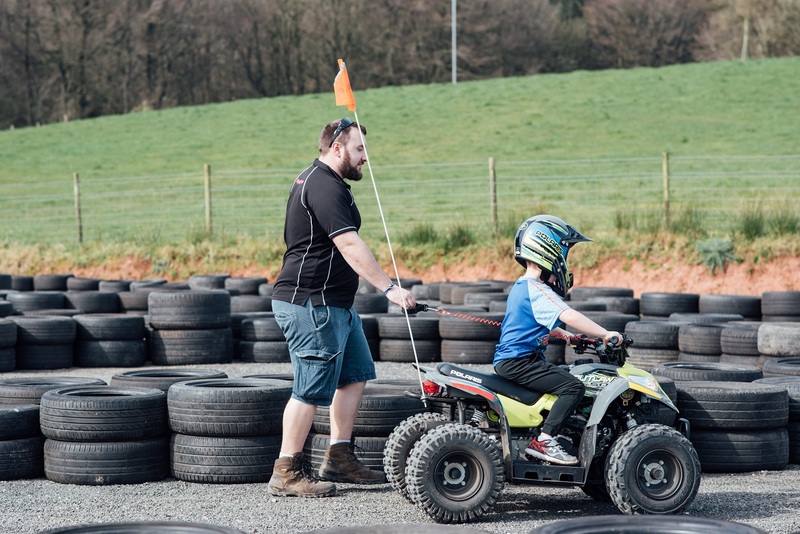 Is the Kids Polaris Quad Bikes suitable for those with special needs? 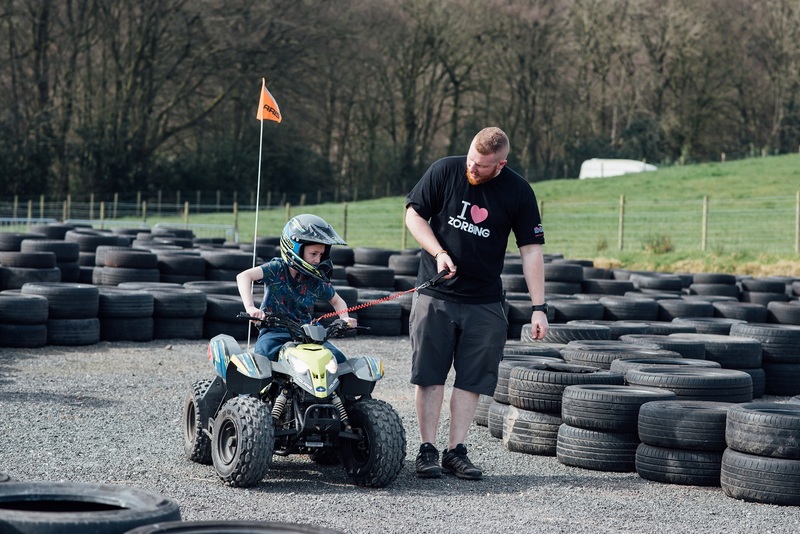 The Jungle NI is always flexible and will welcome all persons onsite. 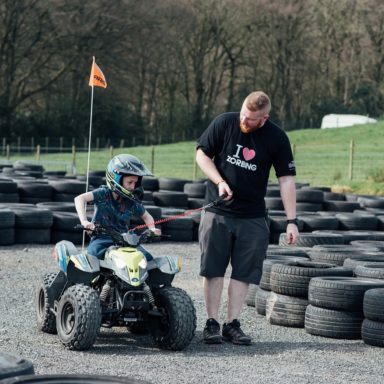 Our activities are designed to be accessible to most people however, the Kids Polaris Quad Bikes does entail a degree of physical exertion, coordination and mental agility. For some persons with special needs, the risk of injury from certain activities will be significantly greater than others. 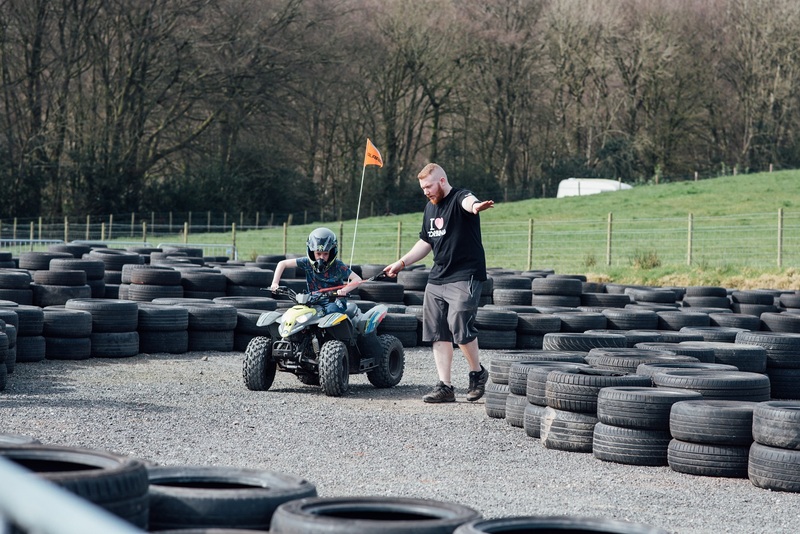 The Jungle NI, cannot advise on a participant’s ability to undertake any activity rather it remains the responsibility of the participant to make such an assessment prior to their visit. 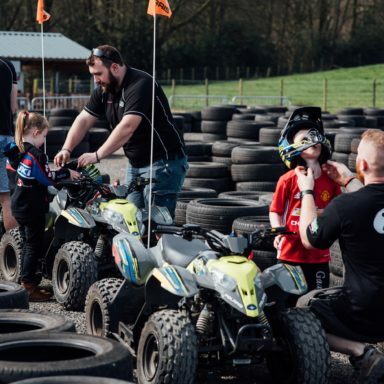 Is there a spectator area for the Kids Polaris Quad Bikes? Yes and children must be supervised by a parent or guardian. 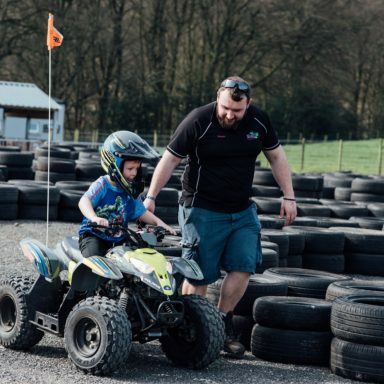 As with any motor sport there are risks involved, however these ATVs are designed with safety in mind. 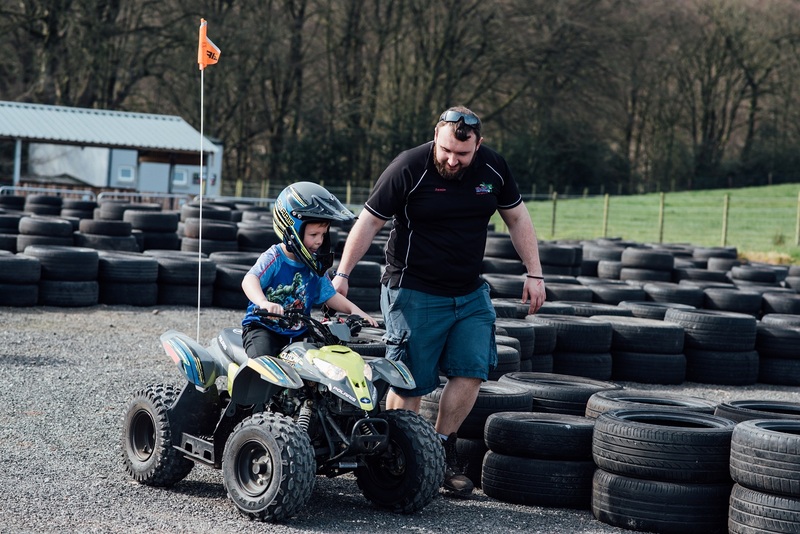 Kids will be given a full safety briefing before they go on the Quad Bikes and will be provided with safety helmets, which must be worn at all times. They have Speed Restriction capabilities and can go no faster than 8mph. Kids will operate these around a flat, specially designed course with safety barriers around the outside. We will have trained staff supervising the activity at all times. In extreme conditions such as very high winds, heavy snow or torrential rain we may have to postpone the event for another date, due to Health and Safety reasons. However, under most conditions the activity will still go ahead. We encourage all participants to come dressed suitably in accordance to the weather and bring a change of dry clothing for afterwards if required. 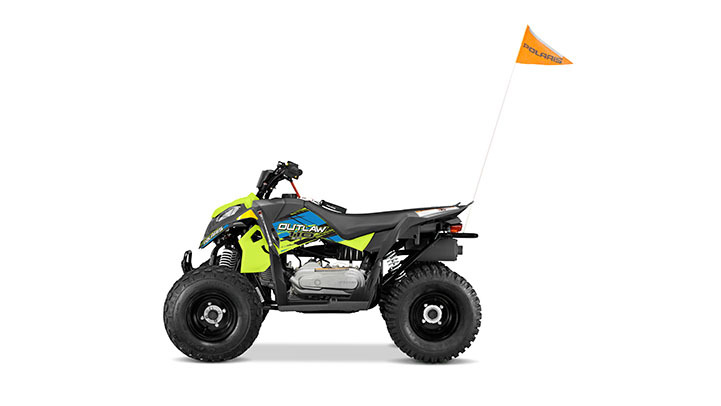 The Quads are all terrain vehicles and will be able to handle most weather conditions comfortably. The maximum number of participants for one session is 8 kids. We currently have 4 Quads, so the group will share the time on the track between them. For an hour session with 8 children, each child should have a total driving time of around 20 minutes. 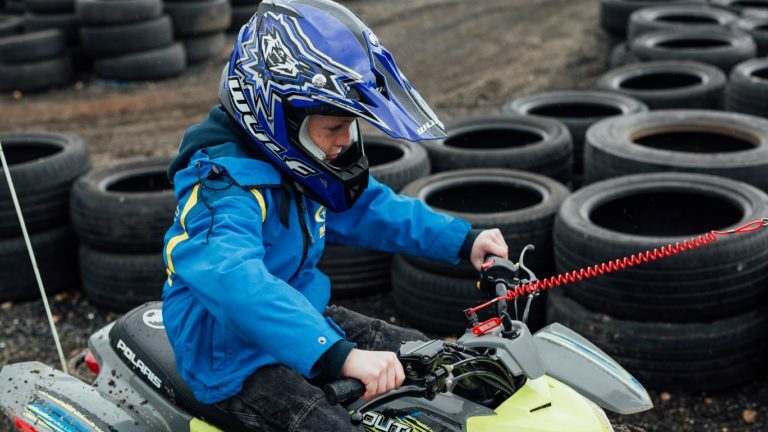 The Kids Polaris Quad Bikes is available seven days a week, from 10am, all year round. Late evening sessions can be arranged in summer months, in Winter however, sessions may be forced to conclude by 3pm due to lack of daylight.